Pop quiz! 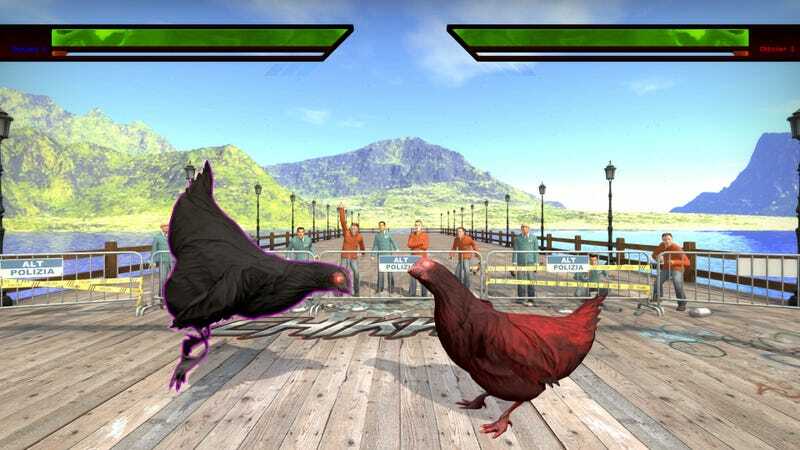 Is Counter-Strike: A) a squad-based tactical shooter that pits terrorists against counter-terrorists or B) a fighting game about chickens whose eyes are alight with Kentucky fried fury? Like most questions in article ledes, that one was entirely rhetorical. Thanks to mods, either option is correct. It’s pretty basic, but apparently more animations, fight mechanics, and levels are on the way. For now, though, chickens can sit, fire lasers, and be purple—all the essentials, in other words.